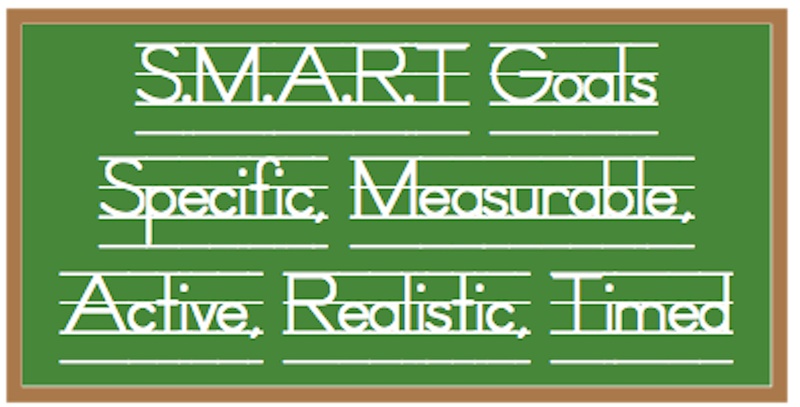 Home » Administrators Page » What is your S.M.A.R.T. goal? What is your S.M.A.R.T. goal? 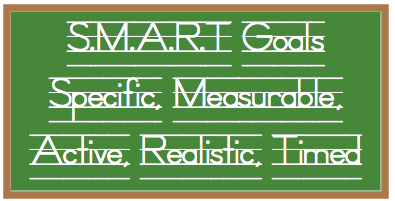 Looking in my archives, back in September 2012 I wrote an article on SMART goals and asked people to share their own smart goals. At that time I had searched and searched and found no specific examples for speech language pathologists. I would love to know what other SLPs ended up writing for their SMART Goals and if I get enough responses keep a data base to help others. If you want to share your SMART Goal(s) to help others please pass them along. I would also be interested in knowing how your goal was developed, who you worked with, if extra time was given to implement your goal, your caseload and if your goal was achieved. No reason to reinvent the wheel. Just a thought: I was speaking to a non-teacher friend about SMART goals and her comment was “As opposed to DUMB goals”. 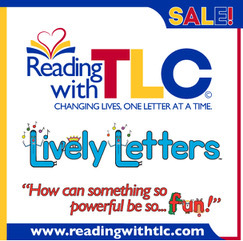 Do you think the powers that be could have picked a better acronym or do you think they did it on purpose? By the end of the 2013/2014 school year, I will improve my knowledge of IPAD applications to use with my students by researching 20 applications and documenting them by providing a description, targeted skill, including a profile of one of my students who had success with the application, approximate age level and price. IPADs are great tools for keeping the attention of students and actively engaging them in therapy with hands-on applications. Research has shown success with IPADs that are used for academic purposes. As a therapist, I need to learn more about what apps are out there and how to relate them with the goals and objectives of the students on my caseload. By the end of the 2013/2014 school year 25 identified students on my caseload will demonstrate understanding of their speech and language goals by verbally stating their objectives on a quarterly basis to reinforce the importance of *goal oriented thinking, in order to refocus their efforts for positive outcomes. Personal experience has shown me that by being goal oriented I stay motivated to achieve success. There is also a large amount of research which supports the concept of goal orientation (GO); which was originally developed to aid in self-motivation of an individual in achievement situations. The reason I have chosen this goal is to provide my students with the opportunity to achieve success by their own motivation when provided with adequate supports to remain focused. Reminding students, prior to beginning a therapy session, of what we are working on. “I can __”goal statements inside folders. Finishing therapy with a short summary of how our activity targeted their goals. Success of this goal will be measured by asking students to verbally state a summary of their goals and objectives on a quarterly basis. I will type their narrative and determine which students were able to remember the key points of their goals and objectives that were targeted that quarter. I like this one. Effective yet simple. Are you expecting this of all your students or only some? Are you breaking down the goal into smaller objectives? Thanks for the response. This is good and I really like it, but I am curious as to how this SMART Goal is going to help you develop professionally? SMART goals are not intended to motivate you to do your job, but actually help you progress into a better professional, so you can generalize these skills for years to come. I typically ask my students what we are or have been working on before we start therapy to see if they remember. I don’t think this is helping me to grow professionally, but I see it as a part of my job as a speech therapist. I know that at my school we have to write 2 smart goals. One focusing on our professional development and one focused on student development. I wrote a similar goal for my evaluation. I was told by my evaluator that it was a goal for my students rather than a goal for myself. I really wish I could have worked on it! It is a great one as most kids have no idea why they come to speech. Hope you had better luck with it.